The continuously increasing demand for wireless data has pushed researchers to search for new technologies in order to significantly expand wireless data capacity and network capability. Industry experts universally agree that even with current and planned infrastructure rollouts the data demand will continue to outpace capacity. Due to which the focus of the industry is shifting from asking “if” to “when”. Wireless service providers plan to furiously upgrade their networks to 4G LTE, LTE-A and beyond, adopting new innovations including multiple input, multiple output (MIMO) and carrier aggregation, along the 3GPP roadmap. However, it is clear that the current technology trajectory still produces a capacity slope more flat than the demand line. 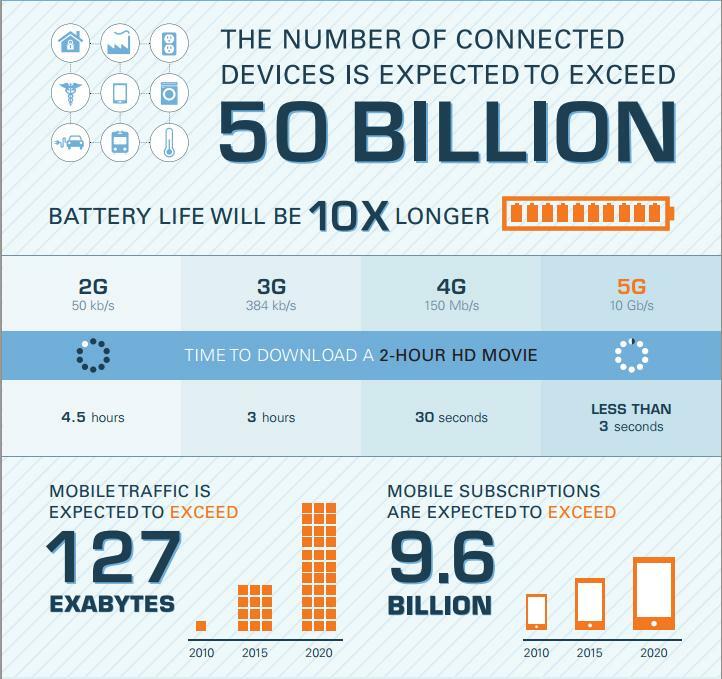 5G Infographic shows the exponential increase in demands of capacity and efficiency of mobile and wireless devices. The number of connected devices is expected to exceed 50 billion by 2020. Mobile subscriptions are expected to exceed 9.6 billion and mobile traffic is expected to exceed 127 Exa-bytes around 2020. Exponential growth in the number of mobile devices and the amount of wireless data they consume is driving researchers to investigate new technologies and approaches to address the mounting demand. The next generation of wireless data networks, called the fifth generation or 5G, must address not only capacity constraints but also existing challenges such as network reliability, coverage, energy efficiency, and latency which exist with current communication systems. For example, battery lives are expected to be 10x longer and theoretical data speeds are demanded to be as high as 10Gb/s which puts 150Mb/s of current 4G LTE as a miniscule value. But how do we achieve all this. To this end, researchers are focusing on four potential technologies as prospects to make 5G a reality. 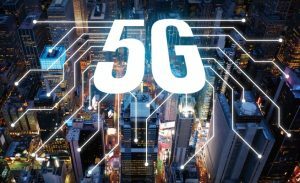 Massive MIMO, a candidate for 5G technology, promises significant gains in wireless data rates and link reliability by using large numbers of antennas (more than 64) at the base transceiver station (BTS). This approach radically departs from the BTS architecture of current standards, which uses up to eight antennas in a sectorized topology. With hundreds of antenna elements, massive MIMO reduces the radiated power by focusing the energy to targeted mobile users using pre-coding techniques. By directing the wireless energy to specific users, radiated power is reduced and, at the same time, interference to other users is decreased. This is particularly attractive in today’s interference-limited cellular networks. If the promise of massive MIMO holds true, 5G networks of the future will be faster and accommodate more users with better reliability and increased energy efficiency. With so many antenna elements, massive MIMO has several system challenges not encountered in today’s networks. For example, today’s advanced data networks based on LTE or LTE-Advanced require pilot overhead proportional to the number of antennas. Massive MIMO manages overhead for a large number of antennas using time division duplexing (TDD) between uplink and downlink assuming channel reciprocity. Channel reciprocity allows channel state information obtained from uplink pilots to be used in the downlink pre-coder. Additional challenges in realizing massive MIMO include scaling data buses and interfaces by an order of magnitude or more and distributed synchronization amongst a large number of independent RF transceivers. Wireless consumers’ insatiable demand for bandwidth has spurred unprecedented levels of public and private sector investment to increase network capacity. This demand is also driving wireless researchers to develop new ways to address capacity challenges and even explore new network topologies. Researchers not only have to address capacity concerns, but offer new features and functions never before thought possible. To transition from concept to reality, researchers must prototype with real signals and waveforms. A rapidly expanding prototyping solution, known as millimeter wave (mmWave) or extremely high frequency (EHF), is the highest radio frequency band in practical use today. EHF includes frequencies from 30 GHz to 300 GHz. It is because this band has a wavelength of between 1 mm and 10 mm that it has given rise to the name “millimeter band” or “millimeter wave.” Using these bands for cellular communication poses some unique challenges. In addition to high path loss, some of these bands can suffer propagation loss due to water vapor and oxygen absorption. 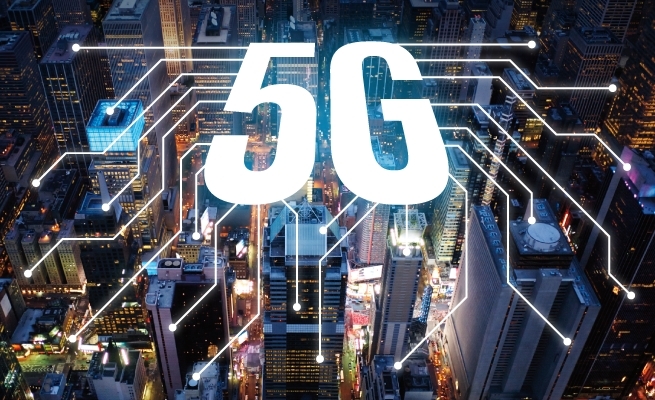 Advancements in prototyping and availability of cost-effective CMOS technology have strengthened the viability of mmWave 5G cellular systems. In the coming years, there will be a significant amount of research to support going from theory to practical and commercially-viable mmWave cellular networks. Almost all modern communication networks are built on OFDM because OFDM improved data rates and network reliability significantly by taking advantage of multi-path a common artifact of wireless transmissions. However as time and demands progress, OFDM technology suffers from out-of-band spectrum re-growth resulting in high side lobes that limit spectral efficiency. In other words, network operators cannot efficiently use their available spectrum because two users on adjacent channels would interfere with one another. OFDM also suffers from high peak-to-average ratio of the power amplifier, resulting in lower battery life of the mobile device. To address OFDM deficiencies, researchers are investigating alternative methods categorized as 5G Waveforms including generalized frequency division multiplexing, filter bank multi-carrier, and universal filter multi-carrier. Researchers speculate that using one of these approaches over OFDM may improve network capacity by 30 percent or more while improving the battery life for all mobile devices. Given the current limited amount of available spectrum for mobile users, researchers are exploring how to increase data rates by increasing the number of eNodeB in a particular geographic area. Rather than have one eNodeB serving as an access point in a 3 kM2 area, network densification would increase this number substantially. The Densification category of 5G research encompasses small cells, heterogeneous networks (“het-nets”), pico cells, femto cells, and relays. All of these approaches increase the access point density for a served region. Although the concept is relatively simple—slice the spectrum geographically rather than by frequency—the implementation is challenging. First, an operator that deploys multiple access points must do so strategically so that the devices do not interfere with one another. They must also take into account the location of the devices, the power of each device, and how to control it in coordination with the other access points in the region. Today’s communications infrastructure is unable to keep pace with demand as individuals and businesses alike are increasingly connecting more devices and transferring more data than ever. Beyond the need for greater bandwidth, new design constraints including security, coexistence, and power consumption are emerging. As we just discussed researchers and scientists are hard at work to put forward four technologies that we just discussed as prospect solutions to these challenges. However, based on existing development tools, there is a critical gap in prototyping new ideas from a lack of approachable, productive design environments that also enable access to hardware. There is a strong, escalating demand for design tools that can enable rapid prototyping. To prototype new designs, communications designers have standardized on software-defined radio (SDR) platforms, as these hardware devices offer tremendous flexibility. Unfortunately, programming the processor and FPGA on modern SDRs demands different specializations and different tools. Design teams tend to be larger, design cycles are longer and costlier, and the overall prototyping process isn’t smooth or iterative. This fundamental inability to easily bring new designs to modern SDRs accounts for the critical gap in prototyping. NI (National Instruments) is playing a key role in providing tools and technology for prototyping and defining this new frontier for wireless communications. NI’s unique hardware and software platform enables researchers to innovate faster by providing a path from theoretical research to rapid prototyping. Understanding the need of such a tool, NI has taken a lead by coming up with a comprehensive environment which offers a more efficient, integrated approach to prototyping new designs with SDR hardware. With his tool called LabVIEW Communications, researchers can choose between a variety of approaches for defining algorithms on the processor and on the FPGA. To ease the transition from existing algorithm design tools, LabVIEW Communications offers rich text nodes with syntax highlighting, function completion, function documentation, and more for C and .M. Developers can easily pull in existing work to further expedite the prototyping process. For prototypes that need the real-time processing that FPGAs provide, LabVIEW Communications offers powerful algorithm design languages that can be directly compiled to the FPGA based on system requirements. To address another bottleneck in the typical design process for new communications algorithms, researchers can rely on the built-in data-driven floating point to fixed point conversion utility found in LabVIEW Communications. This utility provides recommendations on fixed point types and reports how much the fixed point design deviates from the floating point original. As an additional productivity boost, researchers can rely on the Application Frameworks that plug into LabVIEW Communications to provide a LTE and 802.11 software implementations. These standards-based implementations can be directly modified to encode new algorithms that require similar infrastructure. Instead of having to spend time building harnesses around the algorithms, researchers can instead leverage the application frameworks to focus innovation and work on the specific research vectors. Industry analysts predict demand will outpace capacity and it’s simply a matter of when. Against this backdrop, wireless researchers continue to put forth new ideas to address next generation wireless infrastructure challenges. Transitioning from concept, which is largely a software exercise, to a working prototype with real signals and waveforms requires extensive investments in time and money, and has been an impediment to the adoption of new technologies and capabilities. Design approaches that embrace software re-configurability with an accelerated path to prototyping, can expedite the design, exploration and deployment of these technologies in new and exciting ways. Increasing demand for wireless data and the future of 5G is still evolving, but one thing is for certain: unless industry, government, and associated spectrum regulating entities can agree on how and when to reallocate spectrum, there is no remaining spectrum available below 6 GHz. Reallocating spectrum is not an easy task because service operators have already invested billions of dollars to acquire the spectrum already in use, and transitions are neither easy nor cheap. 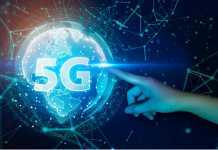 Technologically 5G has a long distance to cover and will be a journey spread over several years which would involve extensive collaboration from researchers, wireless technology commercial giants, government and regulatory bodies, towards a common goal of making a wireless infrastructure that can cater to the challenges that will rise up. In all of these areas of research, wireless design involves multiple layers of optimization and tuning while maintaining compatibility with industry standard protocols. We have seen various commercial and research facilities including NI provide the systems and expertise necessary in developing new ways to solve this problem. NI partners with number of top academic and industry RF/Wireless researchers through its RF/Communications Lead User program to guide and define this new approach to communications system design. 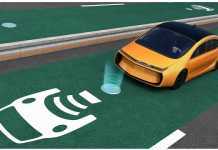 Partners in this program using LabVIEW for 5G research include Nokia/NTT Docomo for mmWave, Lund University for Massive MIMO and Alcatel-Lucent/Technische Universität Dresden for new candidate waveforms.